One of my favorite stories in the Bible details a battle that occurred between Israel and the Amalekites. Moses stood at the top of the hill watching and praying. As long as his hands were held high in the air, the Israelites were winning; but whenever he would lower them, the enemy began to defeat them. So, the two guys who were on the hill with Moses pulled up a rock for him to sit on. Then they stood, one on each side of Moses, and held his hands up for him and the Israelites won the battle! I love this story because I identify with it so well. When it comes to my family - my husband and 2 boys, I will stand on the forefront of the battle line. Being the helpmate that God called me to be is truly a blessing but it takes effort, intentionality and work. Raising two little boys to know and love the Lord is work too... there are days when you feel like your efforts have failed and everything you've taught will return void. But nonetheless I pray, I teach. I reach up towards heaven daily but sometimes my arms get tired and therefore I must also reach out to others. Others that have gone before me and those that are in the same season. Someone who gets it; who really understands the strain a mother’s heart undertakes when she places her children’s lives into the ever capable hands of the One who created them. We stress, and worry and wear down but He is trustworthy and faithful. And we need to come alongside one another and hold each other's hands up so as to win the battle. In many areas of our life whether that be the discipline of spiritual practices, keeping a budget, organizing, taking a sabbath, recharging, unlearning, being a disciple, mothering etc., oftentimes we need not only to reach up to our Heavenly Father who enables us but we also need to reach out to those who can help us along this journey. Woohoo, I did it! I blogged for 31 days in a row! So if you read one, two or all of my blog post you realize I am in a season of discipline, not that I have mastered this season yet but I am gaining self control in my life. Thanks for joining me on this journey, if you desire to continue following my post feel free to do so at Seasons of Life. We all need other people, especially friends - God wired us that way! True friends however, are hard to come by, but when they come along you do whatever it takes to maintain that friendship. Amongst many friends over the years there are 3 that have truly blessed my life. I had just moved across town and was the new girl at school in 4th grade. Connie befriended me right away and we were inseparable for the next two years. We took advantage of any opportunity for sleep overs, talking on the phone, sharing secrets... We were sisters at heart, in fact on one occasion we even conspired to fix my mom and her dad up in hopes we may become real sisters (although that didn't quite work out). In 6th grade however, we had to move again! Although sleepovers were less often that didn't change my friendship with Connie, it only made us stronger as we were able to share life experiences with someone whose roots grew deep. After high school, we did get disconnected as we went our separate ways but were able to reconnect 2 years ago via facebook and picked up right where we left off. Connie has been my friend of longevity, no matter how many years or miles separate us we will always be there for each other. I truly love her like a sister! Cassie came into my life at a crossroad. I had just recently become a Christ-follower and was a work in progress. My first memory of her was at youth group on a Wednesday evening, she leaned over and politely asked if I'd like a piece of gum. I said "no thanks," to which she replied, "you smell like smoke." Embarrassed I tried to brush the blame on my parents for being smokers. She very courteously offered again and said, "it's on your breadth." And that was the beginning of our friendship - she told it how it was. Cassie and I couldn't have been more opposite, she grew up in church all her life and enjoyed reading the encyclopedia for fun and me, well I was not like that at all. As a new believer I experienced a lot of things for the first time and Cassie was with me every step of the way. She was there on my first missions trip to Mexico, my first youth camp, getting filled with the spirit, my first road trip, moving away from home for the first time to Master's Commission, seeing the ocean for the first time... Amongst our differences Cassie and I had a very genuine friendship that brought out the best in both of us. Friends come and go, some are for a brief season while others see you through many seasons. It takes discipline though to stand the test of longevity, bring out the best in someone and be considered like family. If you want to succeed at discipline, you have got to be focused. You'll never hit the bull's-eye if you're aiming at multiple targets. As I mentioned in yesterday's post, you should have a clear goal but you should also know what distractions will keep you from achieving that goal. Am I constantly on Facebook even though I want to be more intentional with spending quality time with my boys? To stay focused we have been intentional with leaving our phones on the kitchen counter instead of always having them conveniently in our hands. Am I constantly making dessert for after dinner even though I'm trying to lose weight? I need to rid my house of sweets to avoid the temptation altogether! Looking at the Big picture can be overwhelming (like my goal to lose 35 pounds) but when I choose to plan each meal, schedule workouts and look at the plan for that week to lose 1-2 pounds, it seems much more manageable to stay focused. Can you make yourself do something you don’t want to do in order to get a result you really want? If so, then you are disciplined—at least in that area. The key is on focusing on a result you really want. In this sense, the key to discipline is goal-setting. Determine your goal. Notice in Andy’s definition that the key is in knowing what you really want. If you are going to succeed, you must be specific. You must be able to see it. Write it down and—while you are at it—add a “by when” date. For Example: I'd like to lose 35 pounds by my 32nd Birthday, September 10th. List your reasons. This is often the missing piece in both goal-setting and discipline. You have to ask, Why is this goal important? What is at stake in my achieving it? I list both the positive reasons and the negative. Identify likely obstacles. As soon as you start swimming against the current, you will start feeling resistance. It’s as if the universe conspires to keep you from succeeding. That’s why you have to anticipate these obstacles and build strategies to overcome them. Obstacle: Having too many unhealthy choices in the house. Strategy: Make a menu before I buy groceries of the things I plan to eat. Obstacle: Too tired to work out at the end of the day. Strategy: Schedule work outs on the calendar for early mornings or during boys nap time. Obstacle: Eating more calories than I intend. Strategy: Record everything a calorie counting app. Develop new behaviors. This is where you should focus. What are the positive, new behaviors you want to develop to replace the old, negative behaviors. Choose healthy snacks like almonds or fruit. Plan meals to avoid eating out. Be accountable to my husband. Stay focused. Read your goals daily, review your reasons why, anticipate obstacles, and work on your new behaviors. If you get off-track, don’t beat yourself up. Sometimes it is three steps forward and two steps back. Just shake it off and re-lock on your goal. 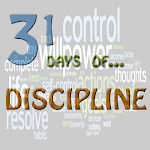 Discipline is not really about will-power so much as it is focusing on what you really want. If you get clear on that, it suddenly becomes much easier. I asked my husband if he'd been reading my blogs during this 31 day series of which he replied, "maybe two, I just haven't been in the blog phase right now." Then he asked me if I will continue to blog after this month. It got me thinking... although I'm really enjoying this series especially because it has got me back into the habit of writing, I need to decide if/when and on what I will blog about. Ultimately I write for myself, because I've always enjoyed it. Writing is therapeutic for me, it helps me sort through the jumbled mess in my head. Like most others I often don't know what I think about something until I write about it. But if I'm honest, sometimes I write because I want someone to approve, to be noticed to feel heard. It can be a good thing, but like most good things it can turn into an addiction and therefore I need to always keep my motives in check. I know I will not be writing everyday - for one I'm not that good and two I don't have that much to say yet. Also sometimes less is more. I will deliver when I've got something worth my time and your time as well. Humans need social contact such as friendly hugs, "attaboy" pats on the back and handholding. Hugs, in particular, vastly contribute to your health and happiness. In fact, hugs are proven so important that "National Hugging Day" is observed annually on January 21, making it an opportune time to start hugging more for your health and happiness. A study led by Dr. Charmaine Griffiths, British Heart Foundation shows that hugs and handholding provides beneficial heart health and reduces stress. When a group of couples were told to discuss an "angry event", the group that held hands and hugged before the confrontation evidenced lower heart rate and blood pressure. Research supports that people who hug more are happier. When a couple hugs for six seconds or more, mood-boosting/bonding chemicals called oxytocin and serotonin are released at an optimum level. The actual number of hugs humans need varies, according to which statistics one pursues. Some say "several times a day"; others suggest "five hugs daily". In an article in "The Telegraph", four hugs a day are apparently "the secret to a happy marriage". My consensus: hug more for your health and happiness! Babies who are hugged more even evidence better physical development and more brain power. "Children who get sustained form of touching, such as a long hug everyday are smarter." Quote from Jay Gordon, M.D., co-author of "Brighter Baby". The Discipline of Being a "Pitcher"
There are days when I just want a few moments of "alone time"... just a few moments to breath. As a full-time, stay-at-home wife/mommy of 2 kids under the age of 3 I find those moments are few and far between. There is always something else that needs to be cleaned, pick-up or put away... always something or someone who needs my attention. That was the case just a few days ago. I was busy. I was preparing to teach this "very important" class at church that night and I didn't have time for interruptions. I was getting ready to "serve" and yet there was my sweet little 1 year old trying to get between me and the paper I was so concentrated on studying. What did he need? He just wanted mommy's attention. He wanted me to look at him and acknowledge him. He wanted to sit in my lap and lean his head back against my chest as I rested my chin on his head. He needed his cup filled up and he wanted me to be the pitcher. I had a choice. Do I sacrifice the study time I so desperately needed to be prepared for my "talk" or do I stop now and acknowledge him? I chose him! I pushed my notes aside. I held and embraced my baby. I became a pitcher that day and Jesus used me to fill him back up. I went on to teach my class and Jesus showed up there too with much grace as I spoke a very clear message that I had only fully looked over once. Then laying in bed that night sharing the stories of the evening with my beloved husband he said, "I'm so proud of you but I prefer you to be the CEO of our home, you are really awesome at it." That is my life, I am the Crump CEO, I fill pitchers and I wouldn't want it any other way. This is no trivial question. You know how demanding leadership is. You throw in family responsibilities, community or church involvement and my battery can get drained quickly. Plus, if you have any additional stressors in your life – health issues, financial concerns, aging parents, etc. – the pressure increases. At the base level, one of the first things you’ve got to know about yourself is your energy orientation. Do you tend to get energy from others or do you get energy from time alone? That’s a great place to start. My answer to this question seems to have changed over the years. Maybe that’s normal – I’m not sure. However, here are a few things that have helped me. Rest – When I was younger, it didn’t matter as much. However, today, I’m not as fresh after pulling an all-nighter as I used to be. The folks I’ll be with in my meeting Friday (after the red-eye) had better be ready – I’ll try not to be too grumpy. Recreation – My pastor told me 40 years ago that the word is Re–CREATION. What re-creates you? Is it long walks or softball, sailing or kickboxing? You need to know the answer to this question. If you don’t, start experimenting, and put whatever works on your calendar often. Solitude – This is not everyone’s cup of tea. I understand. However, some time alone may help you re-focus, re-prioritize and re-charge. Even a few hours may work magic. If you haven’t tried it, give it a whirl. Reflection – Think about your purpose – I hope you have a sense of why you’re on earth. I believe you’re here for a reason. If you know why, think about what you’re doing to fulfill your purpose. If that doesn’t light your fire, your wood may be wet. People – Who are the people in your life that give you energy? When you see them coming, your energy, enthusiasm and engagement go up – spend time with THOSE PEOPLE on purpose. Put it on the calendar. By the way, you also have a list of people who drain you – they have the opposite affect as those you energize you. Minimize or eliminate time with those people. It’s natural for a leader’s battery to drain – what we do is extremely hard. But we can do the things necessary to re-charge our lives and our leadership. We must own this. No one else can do it for us. Let’s stay charged up, so we can serve those we lead. 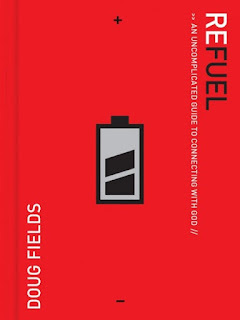 A great resource for reading is a booked called "ReFuel." Bestselling author Doug Fields offers an uncomplicated, practical plan that you can carry out. This book won't teach you how to "cram God" into your already-full schedule. Instead, Doug will show you a practical, doable way of setting God first, and then letting everything else in your life fall into place. You will experience the fullness God has for you-just take some time to refuel. I personally have read this book at least 8 times and it never gets old! I love to read, I only wish I had more hours in a day to read more! When I can read a little every day, it energizes me. Reading broadens my limited perspective and challenges me to think outside my little corner of the world. It also is very relaxing, helps me unwind, and fills me up. I also love reading to my boys, I read to them while they were in the womb. As infants I began reading the Word of God out loud during my devotional times then between 6 months and a year I started reading children's Bible stories and other books to them. Reading aloud to young children is the single most effective thing parents can do to help prepare their children to succeed in school. Unfortunately, fewer than half of U.S. children ages 5 and under are read to every day, placing them at risk for reading delays and school failure. Why is reading aloud to young children so important? Early language skills, the foundation for reading ability and school readiness, are based primarily on language exposure - resulting from parents and other adults talking to young children. Research shows that the more words parents use when speaking to an 8-month-old infant, the greater the size of their child's vocabulary at age 3. Books contain many words that children are unlikely to encounter frequently in spoken language. Children's books actually contain 50% more rare words than primetime television or even college students conversations. Reading difficulty contributes to school failure, which increases the risk of absenteeism, leaving school, juvenile delinquency, substance abuse, and teenage pregnancy - all of which perpetuate the cycles of poverty and dependency. Studies show that a child develops 80% of the attitudes, values, fears, and loyalties that he will carry through life from birth to first grade. It is a tremendously important time in a person's life. Also it is the time of the greatest learning curve. A child is learning primary relationships, eating, balance [walking], language, and a hundred other foundational things. There is no reason why, when a person's mind is so open to learning, that they should not be taught to read. I believe because we have been disciplined to read to my two year old (almost 3 year old) he has an impeccable memory, a gift for details and a vocabulary to match. He knows several Bible verses by memory and can even quote entire Bible stories because of the frequency in which he's heard them. Never underestimate the power of reading for yourself or reading to your kids. A disciple is a follower, one who accepts and assists in spreading the doctrine of another. A Christian disciple is a person who accepts and assists in the spreading of the good news of Jesus Christ. Christian discipleship is the process by which disciples grow in the Lord Jesus Christ and are equipped by the Holy Spirit, who resides in our hearts, to overcome the pressures and trials of this present life and become more and more Christlike. This process requires believers to respond to the Holy Spirit’s prompting to examine their thoughts, words and actions and compare them with the Word of God. This requires that we be in the Word daily—studying it, praying over it, and obeying it. My greatest joy in being a Disciple of Christ is the opportunity to disciple my boys to be mighty men of God! It's not just a designated story time but it is in the life we live. We are to be set apart from the world (Mark 8:34-38). Our focus is on pleasing the Lord in every area of our lives. We make every effort to be doers of the Word and live by the example of Jesus (James 1:22). Our job is not producing fruit, our job is to abide in Christ, and if we do, the Holy Spirit will produce the fruit. This fruit will be a direct result of our obedience (John 15:5-8). My prayer is that my attitude would truly be a reflection of Christ's as he is the perfect example (Romans 15:5-6). We make mistakes in front of our boys and we repent in front of our boys as well. Our boys will experience the love of the Living God through us and by us. Our Pastor has always told us "There is no greater calling than that of a wife and mother" and I'd have to agree! I feel so incredibly blessed to get to stay home with my boys full-time to be the primary one discipling them. It is a discipline on many levels as I know they are constantly watching my every move, but in my discipling them it makes me a better Christian disciple myself. Who wouldn't want to stay home with these two little mighty men of God? We can make different commitments to a lot of things but today I want to talk about the commitment to purity. I had the privilege to teach a 3 week class to our high school girls at church on the subject of sexual temptation. This elective class was based on the book "Every Young Woman's Battle." Although students had to sign up I had no idea how many would attend. The first week I had 38 show up, I was excited but I didn't know if anyone would come back for week 2 and then 40 came the next week. As I was preparing for week 3 I told my husband I really wanted to challenge them to take action with the information they'd been given. So I presented them an opportunity to attend a "True Love Waits" purity ceremony. 27 girls attended, many with their entire families for a total attendance of 90 people! Before making the commitment I challenged the girls to take a few minutes to pray and make sure their heart was right and ready. I asked family members that were there to gather around and pray for them. It was such a beautiful sight! After we were done there were many tears, students and mostly from the parents. There was a line of parents waiting to thank me and Palm Valley Church for taking the time to invest in their daughters and teaching on such a sensitive subject - they were truly grateful! Knowing where I've come from, I felt so privileged to passionately speak on such a subject. I was so honored and humbled to be used by God! Not only was it a commitment of my time to prepare for such a class/ceremony but it was a commitment that so many girls took to honor God with their life. They will be different when it comes to the "world" but it's worth it! I am so proud of these girls for making this commitment, there truly is power in taking a stance and standing for what's right - Yea God! The Discipline of Saying "No"
Many of us grow up to be people pleasers. The word "No" drops out of our vocabulary, and we substitute lots of ways to be agreeable and keep the other person happy. Saying "No" to the authority figures is not expected. And underneath it all we believe that saying "No" can cost us a lot in our adult life. that you need to support your "No" with lots of reasons to convince the other person that you mean it. You might even make up an excuse to support your "No." This can backfire if the lie is exposed and again, you will sound ineffective because you need to have an excuse to support your stand. is simple and direct. "No, I won't be able to help with that." If you would like to offer an explanation, make it short and simple. "No, I won't be able to help with that. I've already made a commitment for Friday afternoon." If you are saying, "No," to someone whom you would help under different circumstances, use an empathic response to ease the rejection. For example, to your friend who needs you to keep her child while she goes to the doctor, you might say, "No, Susie, I can't keep Billie for you. I know it must be hard for you to find someone at that time of day, but I have already made lunch plans and I won't be able to help you. When you do, notice it and give yourself credit for practicing saying such an important two letter word. -No, this is not my own writing today but I thought it was very good on a subject I wanted to cover. Due credit is given to Linda D Tillman, PhD. The fruit of the Spirit is a biblical term that sums up the attributes of a true Christian life. Throughout the Bible righteous men/women are likened to trees and Paul, in Galatians 5 explains what fruit a righteous tree bears. This fruit is grown by those who have truly repented and are true followers of Jesus. So often we pray for such attributes like patience, kindness, self control etc and get frustrated when we don't see immediate change in our character. Most of the time we get aggravated and wonder why we even bother, we're ready to throw in the towel and quit, it's impossible. But that's just it! On our own, WE CAN'T! But if we are Christians then Christ dwells in us which means we already posses those attributes because they are Christ's attributes. We simply need to get out of the way and say, “I can't, but in my weakness HIS strength is made perfect through me”. So often we try in our own strength and that is the first mistake, if we'll just give Him permission then He will truly LIVE in us. It takes discipline to get out of the way, to unlearn habits we've already formed. But I shall practice the Discipline of letting Christ live through me instead of just in me. My husband and I found that in order to be on the same page and not frustrated with each other, we need to communicate. He has his job, I'm home with the boys... seems simple but it's not. For my husband there's always some event going on with the church or a meeting that runs late. For me it's play-dates, grocery shopping, running errands etc. What we have found works for us is having an intentional meeting each week, we call it "Crump Planning". During this time, we look at the calendar and schedule everything in for the week. Then we even plan out our meals. If we've got plans to have people over, I need to buy extra at the store. If my husband's going to be late from work, I need to plan dinner accordingly. Some nights (usually Wednesday's with church) we have left-overs so I make extra on Monday or Tuesday. Only having one vehicle we have to communicate so I know on days where my husband may have a lunch meeting he takes the car, when I have something going on he rides his bike to work. Not only do we communicate on calendar and meals but we make it a priority to communicate to each other about our days, it may be a simple e-mail, text or conversation over dinner. My husband and I have very different interest when it comes to hobbies as well, it's easy to just do your own thing and never think about the other's interest but we are intentional with be interested. For instance my husband is very in to this whole ironman training right now and although I may not understand all of it I always inquire about it. I like to read and blog so he'll ask me about those things. We also know each other well enough to know when is the right time to have a serious conversation or communicate something that could be sensitive. We are not just roommates under the same roof, we are one! When we are on the same page across the board, it helps things run smoother with the finances, the calendar, the kids, extra curricular activities and we can honestly say we don't fight and we aren't stressed at home. It takes work but our home is a sanctuary because we choose the discipline of communicating. Disclaimer... I do not claim to have perfected any area in which I write about, particularly this one - smile! Having just celebrated my 31st birthday a little over a month ago, it dawned on me that in my adult life I have never had an overall check-up at the doctor's. So today was the day. My husband already had a scheduled follow up appointment so I made made an appointment to go with him. I needed the support and accountability for whatever I would hear. 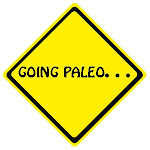 My husband found out about a year and a half ago that he has inherited some bad genes with high cholesterol. It has required quite a life change for him to not be at risk for a stroke or heart attack. To be honest, I was a bit timid at what I may find out myself, however, I was quite pleased to hear, I am absolutely healthy, but not healthy. All the blood work came back great, claiming that I was quite healthy. The not healthy part is actually what I brought up and that is the issue of my weight. I wasn't looking for some magical answer but the wisdom of a trusted friend and physician to encourage me in my already determined mind to get healthy. My friend told it very bluntly - it's all about choices. You choose how you view food. Is it for entertainment and fun or for health? If I want to lose weight I have to burn more calories than I'm intaking. Counting calories doesn't exactly sound fun an exercise my favorite cup of tea but it's a choice I must make if I want to get out of this depressed state of being beyond overweight. I don't recall the last time I had been to the doctor but apparently I was +30 pounds heavier than I am now (that may have been with child). Since my 2nd son was born on my 30th birthday, I have attempted to lose weight. Although I am not where I thought I would be 13 months later, I have not given up. "It doesn't start after vacation, next week, on Monday or tomorrow. It starts now. If you blew it for breakfast then it starts at the next meal." I shall choose self-control, I am choosing healthy. I reached the half way mark and have successfully blogged for 16 days now! As I mention on Day 1, I have always enjoyed writing however, my "mission" in writing hasn't always been clear. Another 31 dayer, actually challenged her readers to create a blog mission statement. I guess initially my blog was a place to get what was in my head out of my head and to keep friends and family members connected to our life. I honestly don't know who if anyone reads my blogs but my ultimate goal or mission in writing and blogging would be to be a "Titus 2 Woman." Susan Godfrey writes in her book, "The Titus 2 Woman", "Finding women who have been trained to be Titus 2 women has gotten harder and harder in today's world. This type of woman is truly becoming an endangered species! It's a sad fact, but modern churches are not teaching the "aged women" to become Titus 2 mentors and women just are not stepping up to mentor the younger women in the church. This is part of the reason I think so many of the young women in today's church are floundering and turning away from Godly womanhood. They are just not being taught how to be Godly women. To many churches today are pushing a twisted form of womanhood that has more in common with feminism and worldly standards than Godly standards. It is truly a sad state! Just what traits does the Bible say a Godly woman should posses? Titus 2:3-5 lays these traits out to us in a simple and plain way. When you look at these verses, you can plainly see what God requires from a Godly woman. Not only is a Godly woman to exhibit these traits, she is to teach them to younger women. Also "aged women" in Titus 2 does not necessarily have to mean just older women. It can also apply to those who are spiritually mature. Sure older women have more life experience but not all are willing to act as a Godly mentor to the younger women. So although I would not consider myself to be named amongst the "aged" I do believe God has given me wisdom beyond my years and I do not want that to go to waste. I am an ever-learning disciple of Christ myself, so I do not claim to know it all but what I do know I want to share with others. Just like Luke 12:48 says, "When someone has been given much, much will be required in return." For now, I will continue to blog on the subject of Discipline but as God allows in His timing my prayer is that this blog would be a platform to mentor other women.